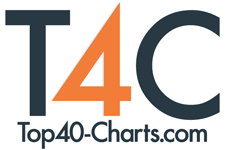 New York, NY (Top40 Charts) 'Boomerang' is the latest single and offering by Danish DJ and producer KONGSTED in collaboration with Australian producer and songwriter Temmpo out on 23rd February via Universal Music. KONGSTED has been a prominent gear in the Danish DJ scene for as long as twelve years and counting, and his recently released single 'Get Away' (featuring Ida Kudo, Peaceful James and AO), was remixed by Robin Schulz' collaborator and French DJ HUGEL to critical acclaim. KONGSTED has received substantial support after being handpicked by acclaimed international DJs such as Pete Tong, AVICII, Tiesto and Martin Garrix during their trips to Denmark. With career propelling hits such as 'Chuck Norris' which has garnered over 10 million Spotify streams and has gone 3x Platinum in sales, the Platinum-selling single 'Whine Dat', and a gold-certified single titled 'Wild Child' featuring fellow Danish musician Cisilia, as well as amassing nearly 5 million combined views on YouTube alone. KONGSTED also boasts several awards to date, most noticeably; Club DJ of The Year, Danish Deejay Favorite Of The Year, Dancechart.dk Award and The Voice Clubbing Award, which he was nominated for four consecutive years in a row, winning in both 2010 & 2011. Filling a residency at Copenhagen-based nightclub ZEN, KONGSTED has also been deemed an official DJ for the prestigious nightclub network The World's Finest Clubs, and has been requested at renowned clubs all around Europe, some of which include: Just Cavalli (Milano), Club Hollywood (Milano), Byblos (Milano), Carpe Diem (Barcelona), Gibson (Frankfurt) and NoX (Oslo). With a busy schedule ahead of him and more than a handful of singles in the pipeline, KONGSTED is excited to bring new music to fans worldwide. Temmpo has made quite a name for himself collaborating with and providing remix work for some of the world's top DJs such as Felix Jaehn, Nicky Romero, Markus Schulz and Anton Powers, just to name a few. Having raked up over 34 million plays on Spotify alone, it's no wonder Temmpo has earned a platinum award for co-writing the song "Our Youth" with Sonny Alven, and "Too Young To Die" with TooManyLeftHands, as well as releasing various other singles with the likes of Eric Saade, Juicy M, Freddy Kalas and Broiler. Soon after receiving a nomination for 'Song Of The Year' at the prestigious Spellemannsprisen (The Norwegian Grammys), Temmpo was picked up by Universal Norway and continues to wow audiences and fans worldwide. KONGSTED and Temmpo's latest collaborative effort 'Boomerang' is a seasonal, glistening hit packed with melodious guitar hooks, soulful vocals, driving beats and percussive grooves. Contagiously catchy and emotive, with lyrics "I'm just a boomerang, I try to escape but I keep comin' back", it's dangerously easy to lose yourself in immersion. Lethal Injektion Releases Intensely Rousing Music Video For West Coast Metal Defining Single "The Crossover"
Prince Amine Setting The World On Fire With "Fuego"
5 Seconds Of Summer Returns With New Single "Want You Back"! Alex Di Leo Releases Official Music Video For "Brooklyn Bridge"